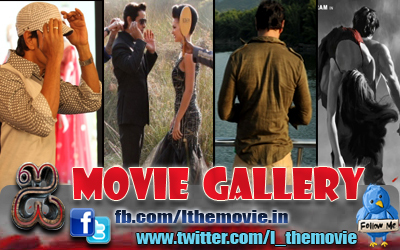 Actor Vikram is currently busy with Thandavam and Karikalan. He was in Delhi recently, shooting for Thandavam. The crew is now planning to fly to US for the next schedule. Earlier, Vikram had a policy of completing one film before taking up another. He would get deep into the character and only after completing the film, move on to his next role. The talented actor takes an immense effort for every role he plays. Of late, Vikram has been acting in more than two films at a time -though he is yet to commit to a film to be directed by Mani Ratnam's assistant. 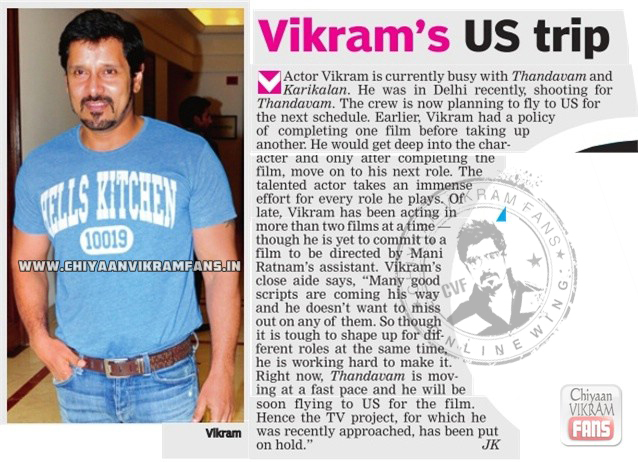 Vikram's close aide says, “Many good scripts are coming his way and he doesn't want to miss out on any of them. So though it is tough to shape up for different roles at the same time, he is working hard to make it.